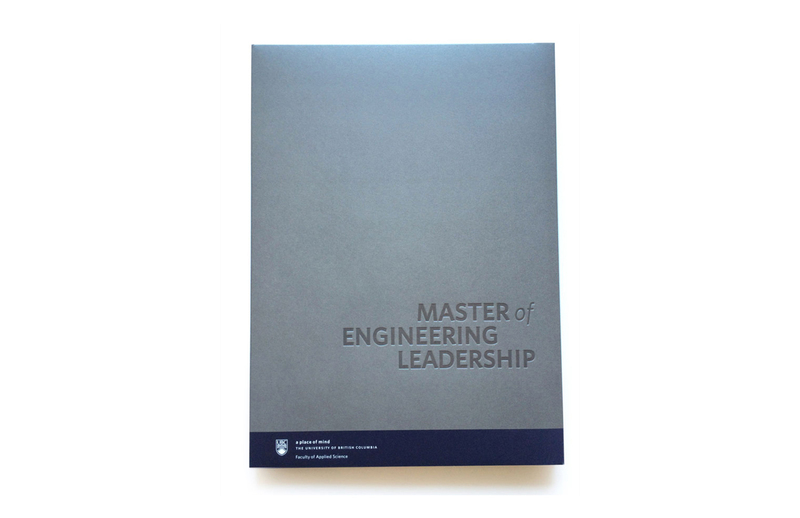 We recently collaborated with UBC’s faculty of Applied Science to create a brand and communications materials for the launch of their Master of Engineering Leadership program. The audience for this series of programs is professionals with 3+ years of experience who are ambitious learners seeking to accelerate their career, with a strong secondary audience of companies who would be interested in this program for their staff. The main objectives: grab the attention of these groups and appeal to both their practicality and their imagination. We themed all marketing materials around the message “A Year Can Change Everything”. The statement immediately communicates one of the programs strongest USPs – the accelerated-learning, one-year timeframe – that appeals to the audience’s practical nature. And it inspires the imagination by reminding the audience of the career changes that can occur as a result of the knowledge gained here. 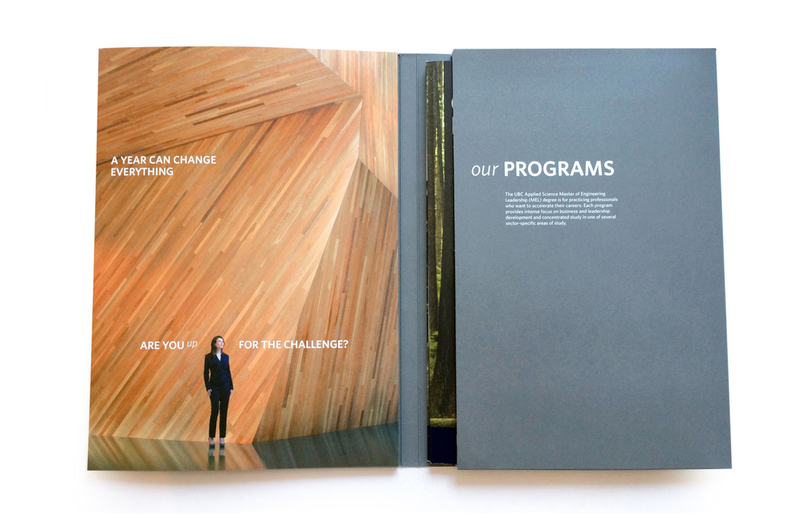 We designed a system of elements, including a branded folder, an overview brochure detailing each program and individual “platform” brochures, which offer more detailed information on specific areas of focus. The custom imagery and messaging we produced was also translated into a series of print and online ads that ran in a variety of international trade publications. 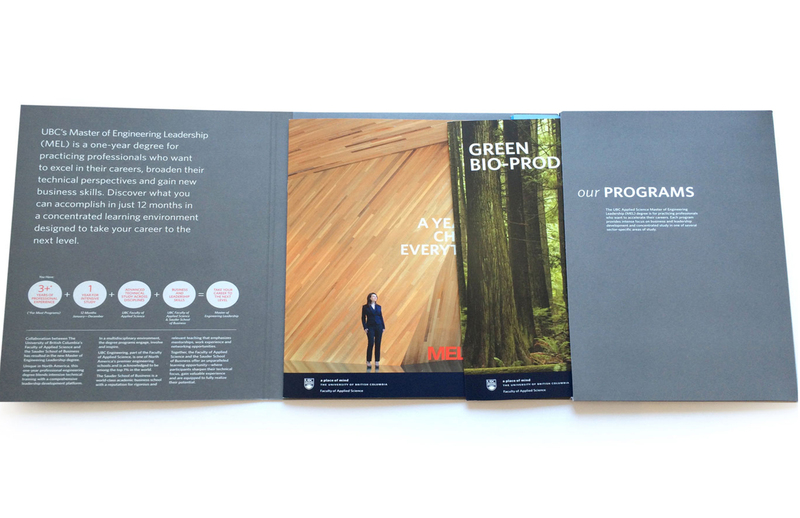 A consistent visual system of signature imagery, pops of red and a distinct typography headlining our signature message “A Year Can Change Everything” were applied over a wide variety of medium including web sites, online and print advertising, posters, postcards and banners.